I’ve had a busy work schedule this month but it doesn’t mean Princess Piggy Poo has to be affected. Just like royalty, the problems of the little people are of no consequence to Her Highness the Cavy. Sure something’s got to give to juggle all of my responsibilities but my guinea pig’s comfort and well-being are not up for negotiation. While my house didn’t get cleaned, Princess Piggy Poo’s cage is fresh as daisies in springtime. As a matter of fact, I likely have as much of her bedding on my floor as Princess Piggy Poo does lining the bottom of her cage. My manicure continues to look chipped but today Princess Piggy Poo had all of her nails clipped and filed. I had a fleeting notion to paint Princess Piggy Poo’s nails but a vision of fingernail polish all over the furniture, Princess Piggy Poo’s mouth and me squelched that impulse. Maybe when I have more time it will be worth attempting. Princess Piggy Poo also got a comb out today enhancing the luster of her soft fur, while I’m on a collision course with dreadlocks if I don’t put a brush through my hair soon. Luckily for me, my work projects are almost complete so I can get to some of the things on my growing to-do list. My top-priority Piggy will never know the difference. I’m totally a slave to Princess Piggy Poo. 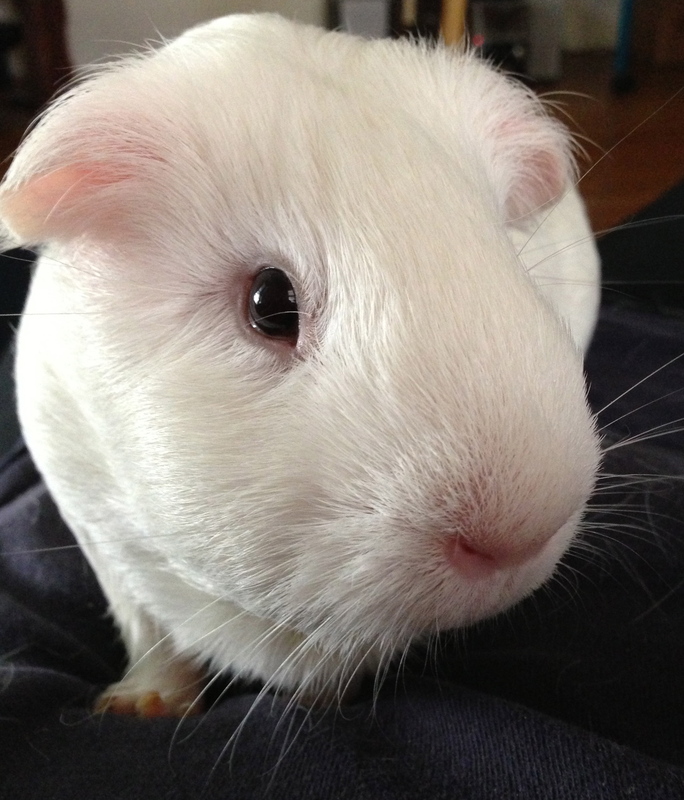 This entry was posted in Guinea pig grooming and tagged cavy, guinea pig, princess piggy poo. Bookmark the permalink.